Headaches have been a normal part of my life for the past several years. Sometimes they’re just a headache. Other times, they’re full-blown migraines, lasting for days without relief. My friend Monica has urged me to see a neurologist, but I’ve always resisted because I dread the process. ⇒The process of making the appointment and waiting for the appointment. ⇒The process of explaining everything to a new doctor. ⇒The process of undergoing tests and more tests. ⇒The process of trying and eliminating and trying and eliminating medication until I find something that works. Even though I dreaded it, I knew that eventually I would need to take action. So when Med-IQ asked me to team up with them to help generate awareness around migraine and chronic migraine, I was ALL IN. Med-IQ is an accredited medical education company that provides an exceptional educational experience for physicians, nurses, pharmacists, and other healthcare professionals. This project is supported through an educational grant from Teva Pharmaceuticals (but it has no role in content development). The goal is to improve patient outcomes through education. Click here to learn more. One of the first things I got to do during this campaign was participate in a conference call with two neurologists (Robert G. Kaniecki, MD, Chief, Headache Division Assistant Professor of Neurology, University of Pittsburgh Medical Center and Stewart J. Tepper, MD, Professor of Neurology, Geisel School of Medicine at Dartmouth, Dartmouth-Hitchcock Medical Center). I learned so much about how to better manage my migraines as well as how to get myself on a path to prevention and relief. Here’s just a little of what I learned. There’s a whole lot that can trigger a migraine, and it can be different for everyone. 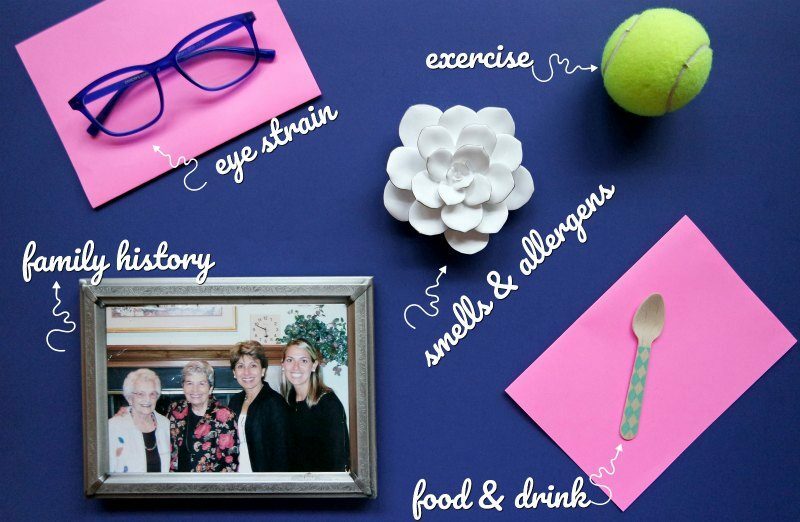 Eye strain, posture, exercise, food, too much caffeine, scents, allergens, the weather…. Migraines are triggered by different things for different people. For me, I know that I need to avoid gluten and limit my dairy intake. I can’t drink more than three cups of coffee a day. And it’s imperative that I get plenty of sleep each night. And if I have to get on a plane, I might as well just plan on having a migraine for two days. You know what really surprised me? Migraine sufferers inherit this condition from a family member. I can pass this along to my kids, and migraine can show up in children as young as 10 years old. That fact alone was enough to move me along in seeking medical treatment. If I can get my migraines under control, that will help me help my kids if they inherit this condition. One criteria for migraines to be classified as chronic is suffering headache symptoms of any kind for 15 (or more!) days per month. The neurologists I spoke with stressed the importance of learning to “tell your story” to prepare for your first meeting with your doctor. 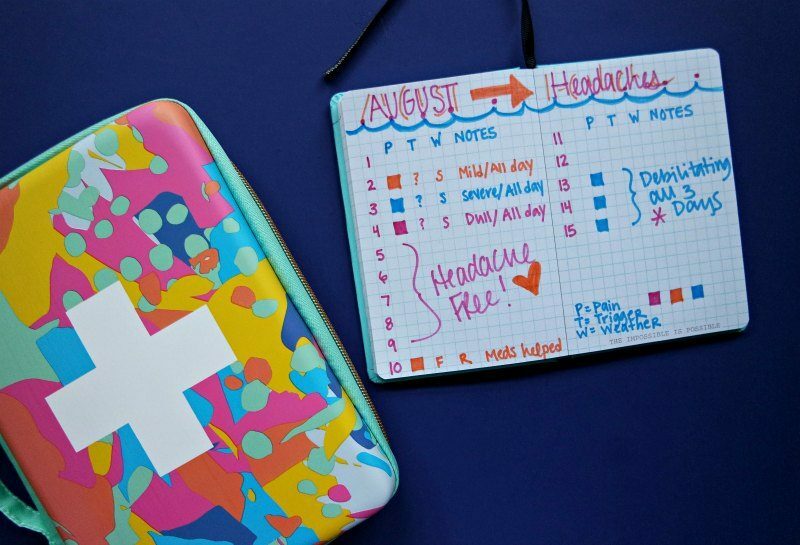 In preparation for your appointment, track your headaches. Note how many days per month they’re occurring, the weather, any possible food or stress triggers, the severity of the pain, and any symptoms you’re experiencing. Going into your appointment with three KEY pieces of information will help your doctor make a quicker diagnosis and help you find a clearer path to treatment and relief. TIME: Track how many days per month you have a headache as well as how long they last. SYMPTOMS: Do you have nausea with the headaches? What about throbbing? Any other symptoms? 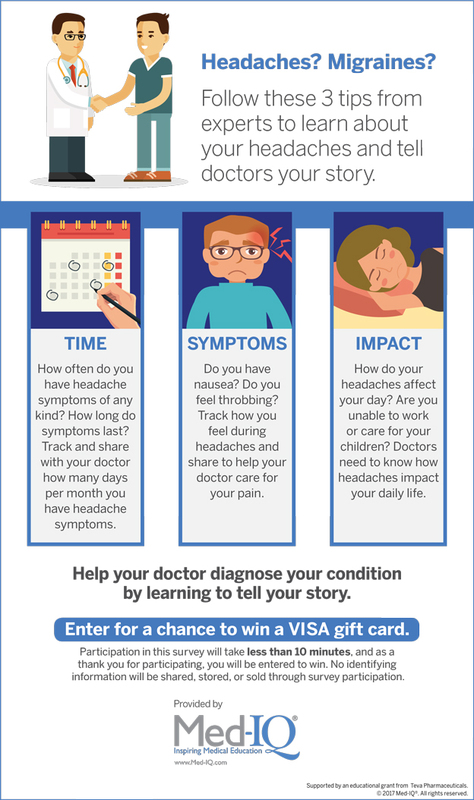 IMPACT: How does the headache impact your life? What level of disability do migraines cause? Does it prevent you from going to work or school? Are you unable to take care of your children? 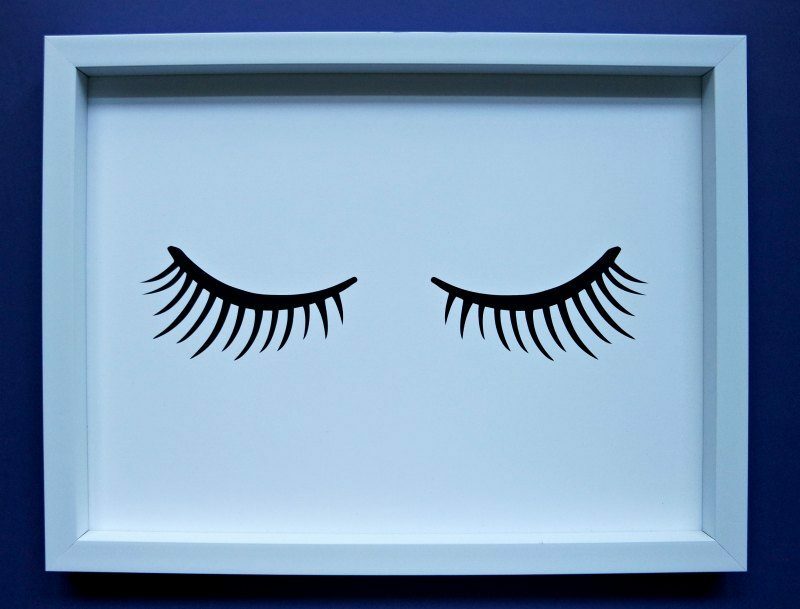 Does it inhibit your ability to move through your day? This is critical information to share. 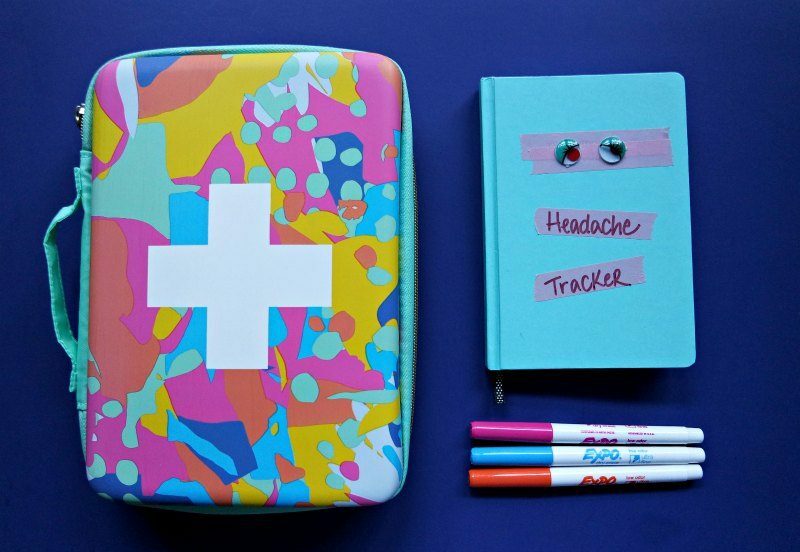 I’ve been tracking my headaches for the past several weeks, and I’ve already learned a lot about what’s triggering them as well as what’s helping me find relief. This information will be really helpful when I meet with my new doctor next month. It will take you less than 10 minutes to complete, and you’ll be entered to win up to $1,000 in prizes! No personal information will be kept, sold or stored during the survey completion process.